To be considered a safe driver, a person must pay attention and have full concentration on the road. If not, the results could be dangerous, especially if a driver is distracted or impaired. This is true regardless of the vehicle that the person is driving. But, the odds of an accident happening increase when a commercial truck enters the equation. The main reason commercial trucks are so dangerous is the amount of physical damage they can cause in a truck accident. A study conducted in 2016 by researchers at the University of Pennsylvania shows that many truck drivers deal with poor sleeping conditions, specifically sleep apnea. The following details how sleeping and work conditions can lead to truck accidents. All commercial truck drivers know the dangers of fatigue, which can develop from traveling on the road for long periods. The majority of truckers drive at odd hours of the night as well. It is important for all truck drivers to be well-rested before getting behind the wheel. Still, driver’s fatigue can happen as a result of sleep apnea or excessive workloads, not just long work schedules. According to the study mentioned above, which was sponsored by the Federal Motor Carrier Safety Administration (FMCSA), 28% of all commercial truck drivers suffer from some form of sleep apnea. This is a sleep disorder that pauses a person’s breathing pattern while they’re asleep. Some of the pauses can last for 10 seconds or more, and they could happen as much as 400 times each night. One of the symptoms of sleep apnea is excessive sleepiness while a person is awake. This is a concern for truck drivers, because sleepiness can decrease alertness and ability to react to other drivers on the road. Sleep apnea could cause truckers to fall asleep at the wheel of a commercial vehicle, which can lead to horrible accidents. The results are devastating and include severe injuries, mental trauma, and even death. Sleep apnea is a dangerous health condition, so anyone who has it should seek medical care. Many feel all truck drivers with sleep apnea should not be allowed to drive. This is because they could be endangering their own lives and the lives of others. Dealing with an excessive workload reduces a truck driver’s efficiency behind the wheel in the short-term. But, there are also long-term effects on their health. Other health issues besides sleep apnea that truckers can experience include hypertension, obesity, type II diabetes, and cancer. Public awareness has prompted the trucking industry to develop preventive steps to stop driver’s fatigue and truck accidents. In some cases, truck drivers take various stimulants to prevent themselves from falling asleep behind the wheel. But, these reduce alertness, which can increase the chances of being involved in a truck accident. Government officials have stepped in to create guidelines restricting the time truck drivers can be on the road during the course of a workday. Mandating rest periods has increased truck driver alertness behind the wheel. 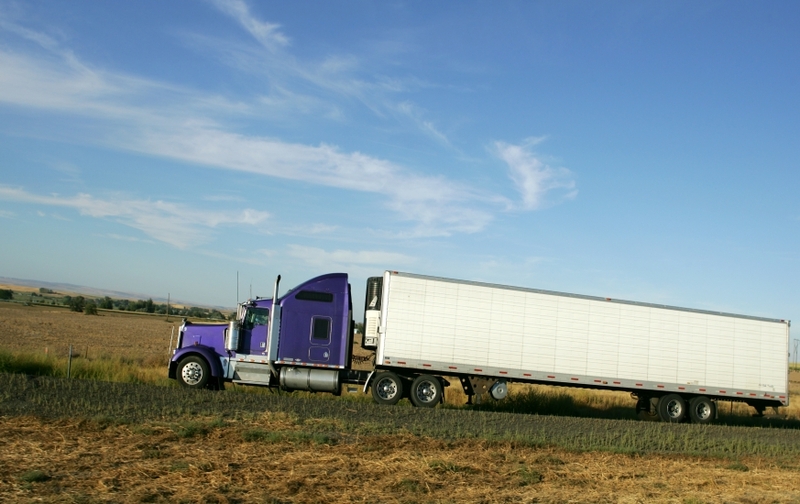 Having a consistent sleep pattern can help prevent commercial truck accidents from happening. But, it will not work if the pattern doesn’t meet your biological needs. Some people are more distracted by noise and light than others. This is why it is important that your sleeping environment be free of all disturbances. A quiet location has shown to increase alertness and reduce drowsiness in truck drivers. Although regulations have become more strict for a majority of truck drivers, those in the oilfield are still experiencing fatigue. This is because the regulations do not extend to some areas of their industry. Many oilfield truck drivers must work normal driving hours or more, but they also have to wait for other workers before they can leave the job site. This means that finding a good place to rest or sleep can be extremely difficult. Long hours with little rest, coupled with conditions like sleep apnea, mean that oilfield truck drivers pose a lager risk than other truckers. Even if these drivers try to be a part of creating safer roadways, they may still fall victim to oil companies’ tough workloads. This means that they can also be victims in commercial truck accidents. If you have been involved in a Truck Accident, it is best to seek compensation as soon as possible. Whether you are an oilfield worker or the driver of a passenger vehicle, contacting a personal injury attorney can help. Contact Attorney Dean Boyd for more information on how we can help with your claim. You can reach us at (806) 242-3333 or Contact Us via email to learn more about our Services. You can also visit our offices at 4423 SW 45th Avenue in Amarillo, Texas or 5012 50th Street #103 in Lubbock, Texas for more information.